Wait until they are ready – As we mentioned before, this is different for every child. Some of the things you should check to see if your child is ready to start weaning are: sitting on a high chair unassisted, have good neck strength, and being able to chew properly (being able to move food from one side of the mouth to the other). Don’t rush it – It’s important to start picking up on the signs that your baby is full (if there’s food going in every direction, that’s usually a good indicator). Expect mealtime to be around 10 – 15 minutes minimum. Mango – Rich in vitamin A, and they are very easy for your baby to hold. Banana – Probably the easiest fruit to start on, make sure you cut it in long, thin slices. Broccoli – Highly nutritious, rich in vitamin C and easy to grab, steam it or boil it first, making sure it’s less crunchy and a bit softer than you would normally have it. Carrot – Same with the broccoli, make sure you steam it boil it first so it’s softer. Carrot is high in beta carotene and vitamin A. Cheese – Soft, long pieces of cheese can be introduced while weaning. Just don’t choose a flavour that’s too strong. Turkey – Turkey is also a great way to start your baby on protein. A softer meat too, its flavour can be a little bit stronger, so it’s recommendable to start with turkey after chicken has been introduced. Egg – Egg is high in vitamin A and is a great source of protein, just make sure the yolk is completely hard and slice into quarters. Another good way of serving it could be as an omelette, sliced into strips. Bread – Soft toast, sliced into thin and long pieces, is the perfect finger food for your little one, as it’s very easy to digest and is appealing in flavour. Rice-based cereals – Unsalted rice cakes, Bellamy’s Organic Rice Pasta Stars, or rice cereals mixed with a little bit of milk are easy to chew and are the perfect way to start introducing solids to your baby’s diet. Weaning is an important stage in a baby’s life, and their family’s. It can be scary to start introducing solid food to a tiny child that has previously been feeding solely on either formula or breastmilk, however, it’s a completely natural step and a sign of healthy development that’s both exciting and enjoyable. Just make sure you pick the right food, understand what nutrients are important for your child and learn how to read your little one’s cues, so you know when to stop and when he or she is ready for more. If you would like to know more about what’s best for your baby, including great sources of food, don’t hesitate to contact us. 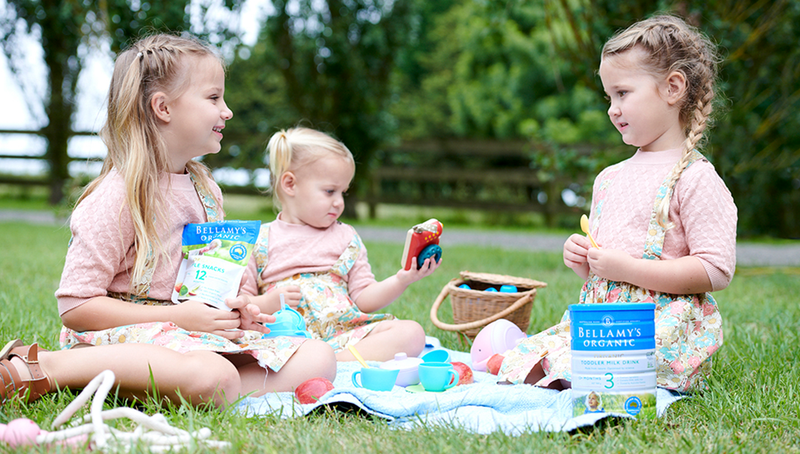 At Bellamy’s Organic, it’s our mission to provide parents with uncomplicated food products, that are both wholesome and nutritious.